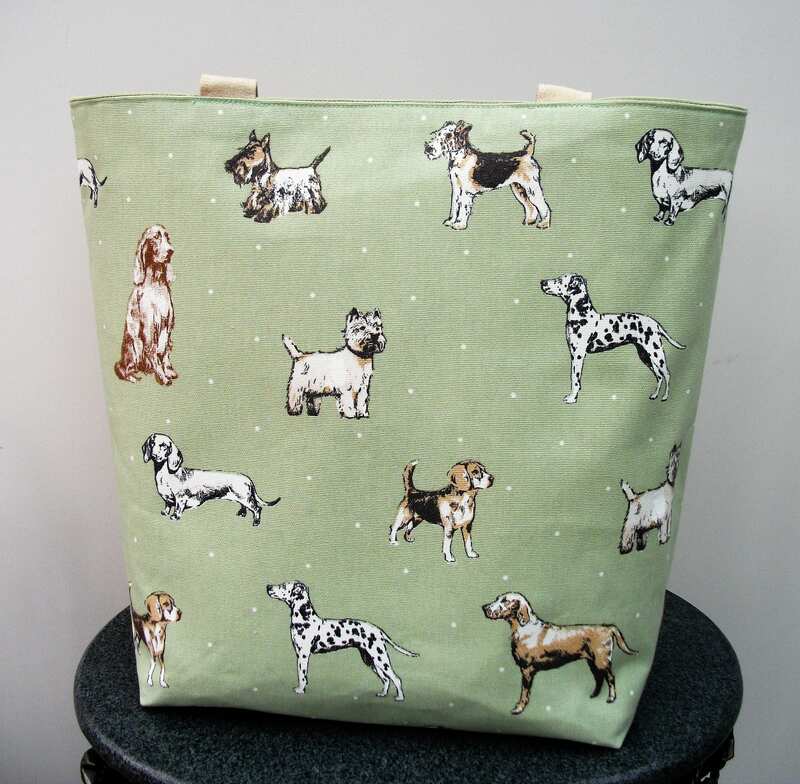 "Best in Show" : This is a stunning, practical large shoulder bag made from sage green linen fabric with a gorgeous pattern of dogs - "Best in Show" ! 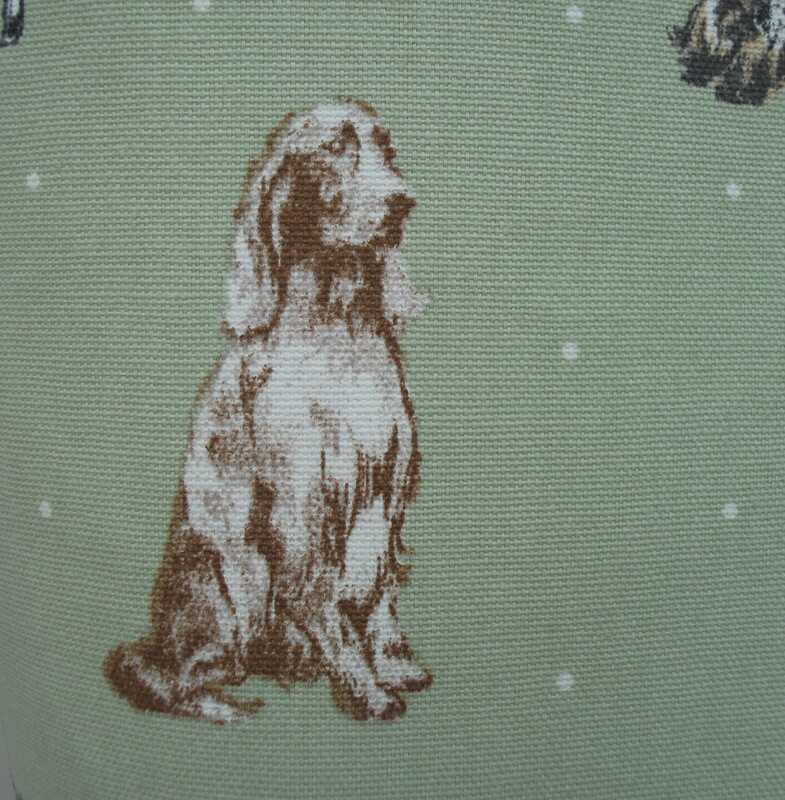 There are lovely images of various pedigree dogs - Dalmatians, Cocker Spaniels, Beagles, Labradors,Dachshunds- to name but a few. 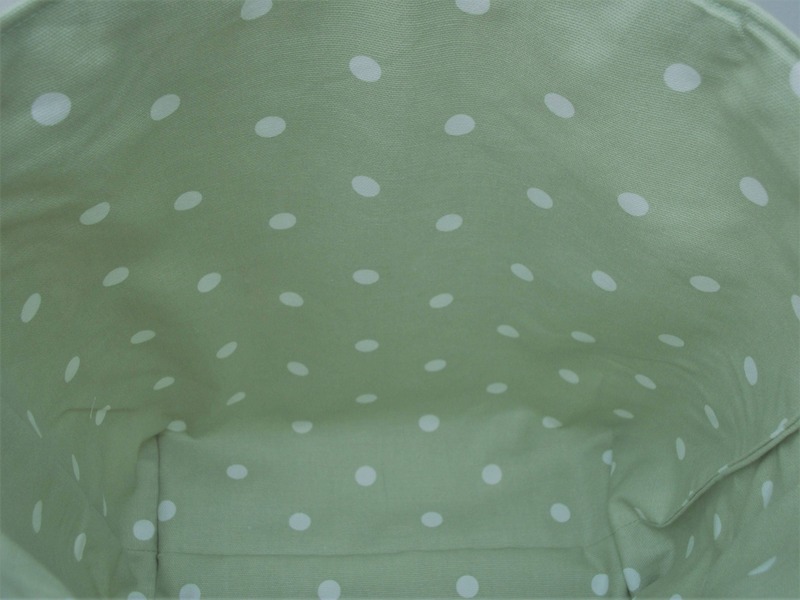 It is lined with high quality matching sage green fabric with white spots. 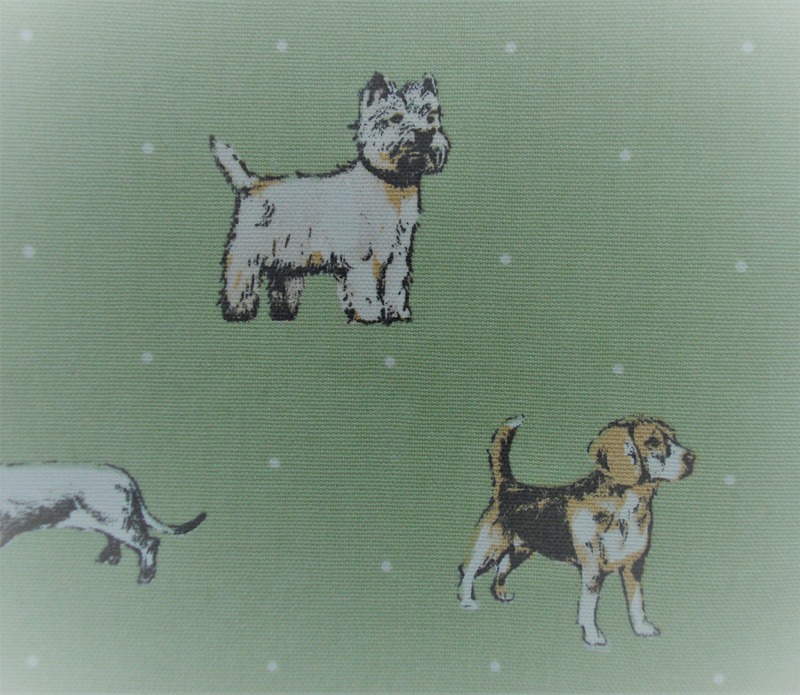 Along with the lining there is a heavyweight interfacing to give the bag substance and body. 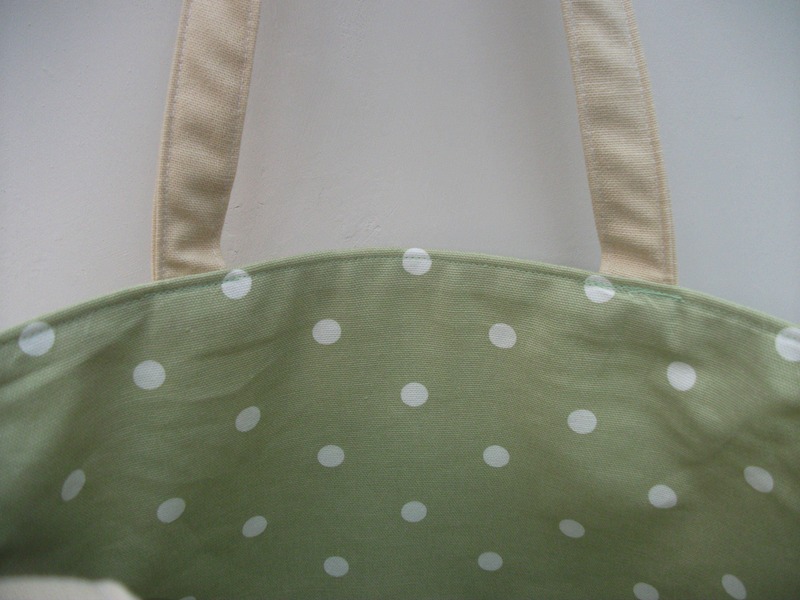 The handles, also handmade for added quality, are quadruple thickness of plain crem linen fabric and triple stitched to the body of the bag for strength. 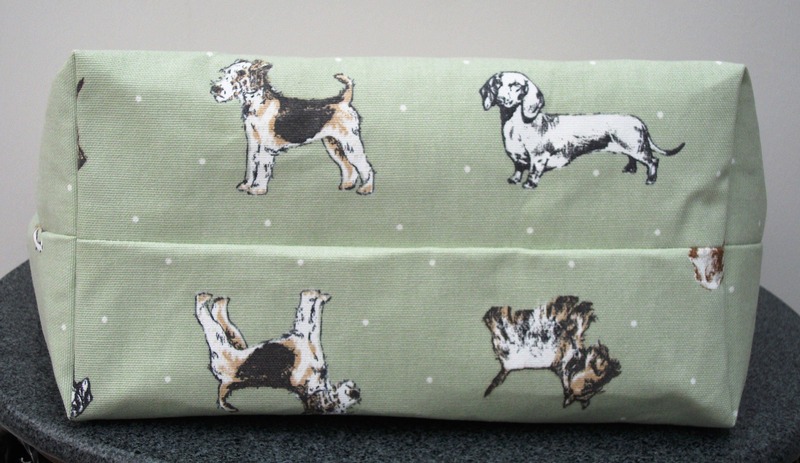 The bag can also be folded up and carried in a handbag or purse or briefcase . 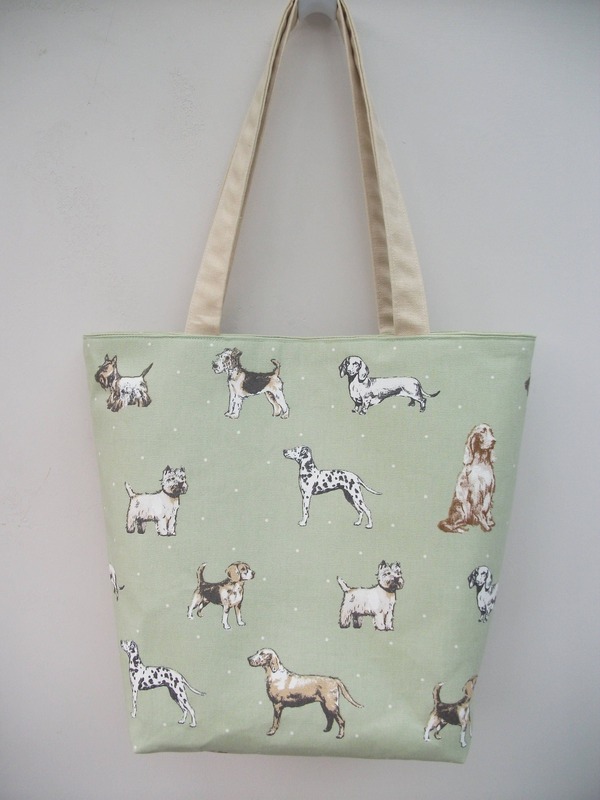 This is great as a gift for any dog lover or for yourself as a tote bag for shopping, a book bag, a beach bag or a day in the Park for carrying all those little things that you need for a day out ! 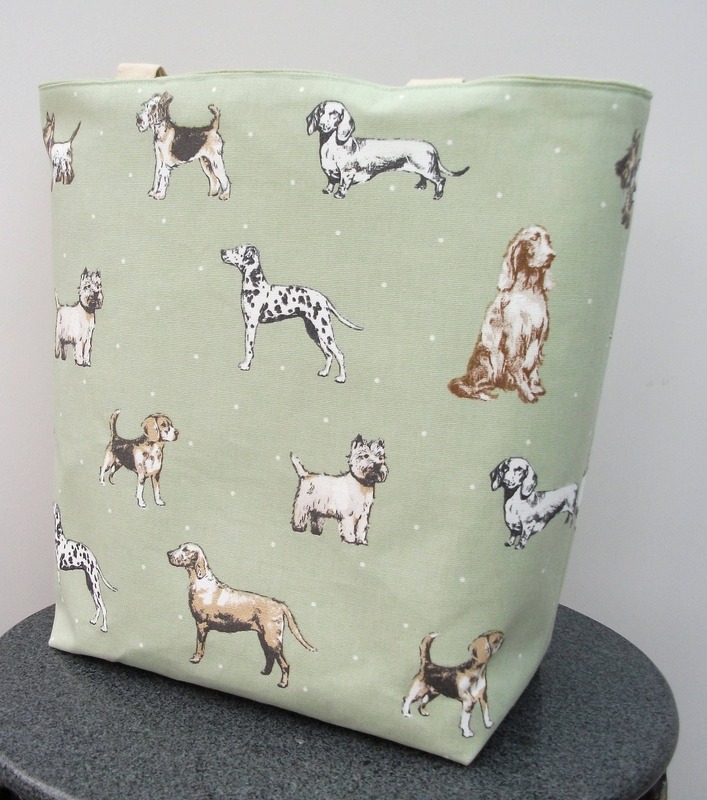 It would also make a great gift as a project bag, for example for someone who loves quilting, sewing or knitting to keep wool or thread , needles and patterns altogether whilst working on that special quilt, sweater or scarf! 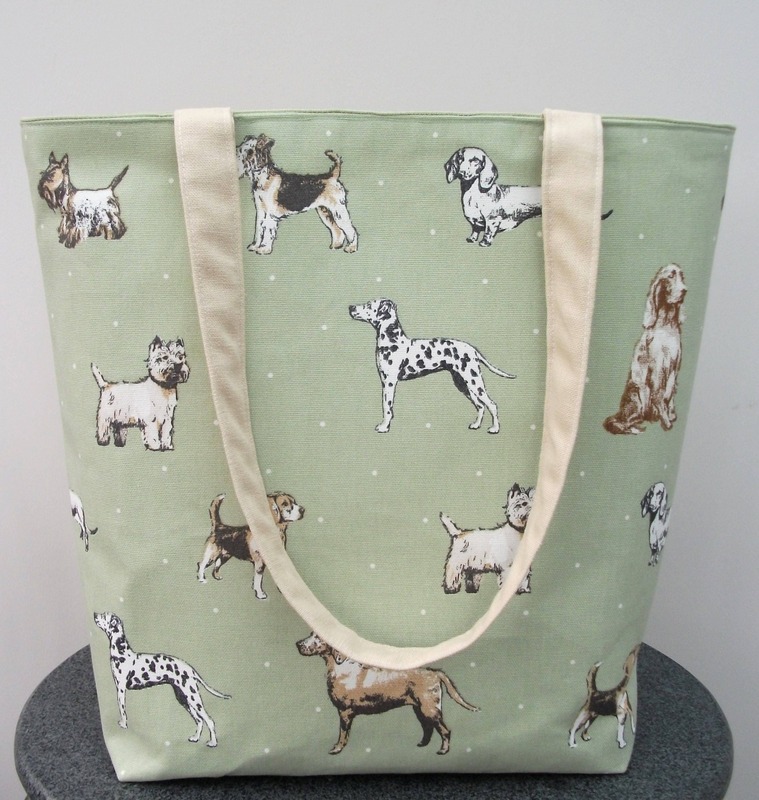 Can also be made with a cream lining with a fawn hearts or fawn spots pattern - please state preference at checkout.